The seven related articles in this volume of Indiana Slavic Studies doubly counter the dominant focus in Polish Studies scholarship on "Literature penned by Great Men." 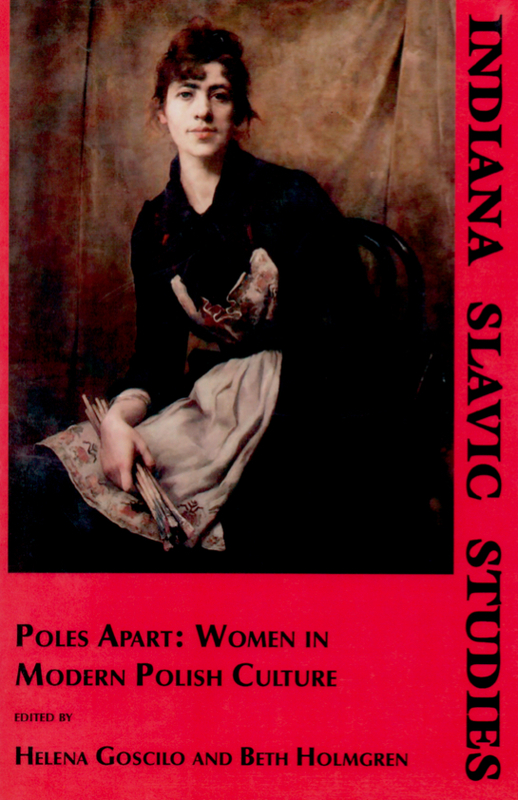 This anthology turns the spotlight elsewhere—on the careers, works, and reception of Polish women in the visual and performing arts. The subject of our collection, in both senses, in the Polish woman who has stolen the show—on stage, screen, canvas, and in the media. The essays span the 19th and 20th centuries, from Beth Holmgren's historical analysis of the public/professional lives of Polish stage actresses (Helena Modjeska, Maria Wisnowska, Gabriela Zapolska) in the late nineteenth-century to Andrea Lanoux's critical review of the diverse Polish-language women's magazines that proliferated in Poland during the 1990s. Between these endpoints, Bożena Shallcross limns the innovative psychologized portraiture of painter Olga Boznańska (1865–1940); Elżbieta Ostrowska examines the provocative cinematic career of Poland's premier screen star, Krystyna Janda (b. 1952); Maria Makowiecka delineates the transgressive multimedia art of the award-winning postmodernist Ewa Kuryluk (b. 1946); and Helena Goscilo fathoms the anti-diva self-fashioning and currency of the operatic contralto Ewa Podleś (b. 1952). Halina Filipowicz's essay-afterword to the collection advocates and theoretically elaborates what the preceding entries effectively deploy—a "particularist" methodology that evaluates Polish women's works within the context of their historical experience, cultural traditions, and sociopolitical pressures. All of the essays necessarily problematize gender and address female creativity from its perspective while examining the nexus of complex issues confronted by highly visible female professionals in an unavoidably politicized context: namely, the devaluation or diffusion of gender politics in a "minor" country obsessed with national oppression; and the consequent professional allure and commercial peril of international models and opportunities for training, exhibition, performance, and promotion.